Experience a ferry ride across Knysna's estuary to a secluded nature reserve, home to the Knysna loerie and blue duiker and variety of birdlife. 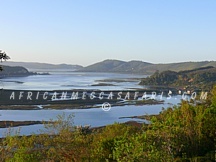 - Short ferry ride across Knysna Lagoon. - 4x4 trailer ride to the summit for an amazing panorama of the Knysna basin and sea. - Stroll through the milkwood forest and along the coastline. - Tasty buffet lunch under milkwood trees. A full day tour visiting some of the areas most beautiful and scenic natural attractions. - Stroll through the Tsitsikamma Forest and view the 1 000 year old Outeniqua yellowwood tree. 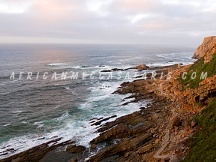 - Visit Tsitsikamma Coastal Nature Reserve with stunning coastal views. Lunch at Storms River Mouth Restaurant (paid directly). - Stop at the highest bungi jump in the world216 metres (optional activity - paid directly. - Tour of Monkeyland sanctuary and home to numerous species of monkeys. - Visit Plettenberg Bay a popular holiday destination. 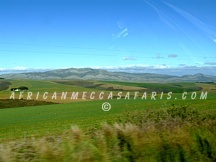 A scenic tour travelling from Knysna to Plettenberg Bay, and back to Knysna. Stopping along the way, as well as an opportunity to spot dolphins. - Scenic stops at Knysna 'Heads'. - Visit the beautiful 'Garden of Eden'. - Tour of Birds of Eden - the largest free flight walk through aviary in the world. - Monkeyland Tour sanctuary and home to numerous species of monkeys from all around the world. A spectacular drive over the Outeniqua Mountain Pass brings us to Oudtshoorn in the Little Karoo. 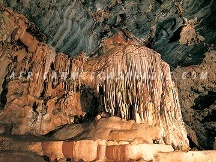 - Discover the Cango Caves with its magnificent dripstone formations of stalactites and stalagmites. - Visit the Cango Wildlife Ranch and see crocodiles, snakes and numerous big cats. - Enjoy an ostrich farm experience.